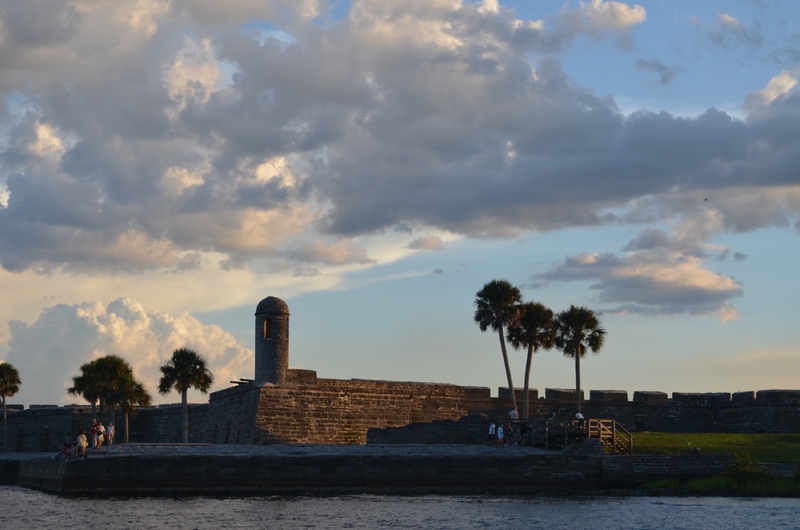 We haven’t posted for awhile and wanted to get back in the saddle as the summer winds down here in St. Augustine. (Being Florida, though, the warm days stay with us for awhile!) We recently took this photo in the early evening on a sunset tour. Often, our passengers get to see the beauty of late summer skies as a backdrop to our tour. 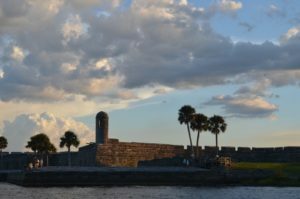 The tour takes in the Castillo de San Marcos as we cruise close to the downtown seawall. This landmark historic site, now a national monument, was begun in 1672 taking 23 years to complete.